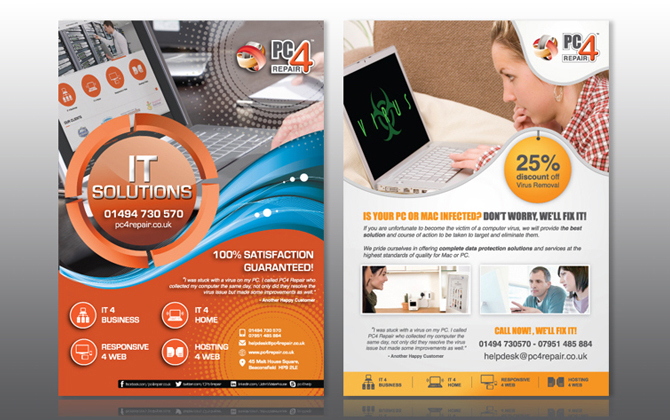 PC4 Repair asked Goodchilds to design 2 Leaflets to showcase their latest IT Solutions. Do you need bespoke Leaflet Designs? Any order, Any size, contact us today.